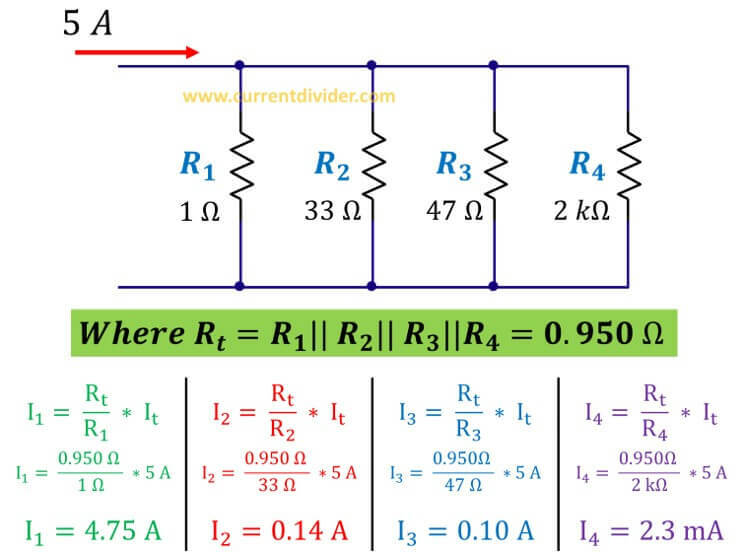 The current divider rule (CDR) is one of most basic rules of Electrical Engineering. Today you'll learn to apply the CDR to four parallel resistors. Let's consider a circuit with 4 parallel resistors. Apply the basic CDR formula. 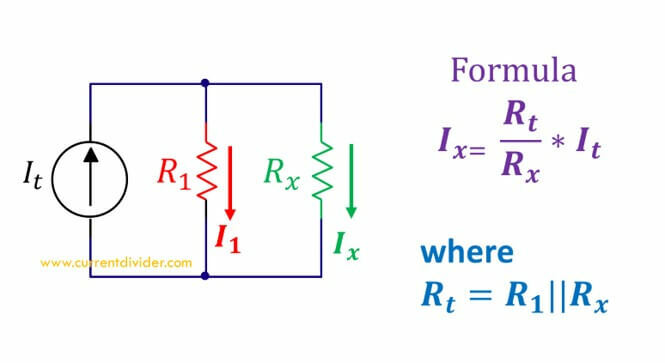 Solving four parallel resistors is very easy and is similar to the two parallel resistors. Also, learn current divider for three resistors.